Cher has dropped out of “Flint,” Lifetime’s original movie about recent water crisis, because of family issues, TheWrap has learned. The Oscar-winner was set to star and executive produce the movie, but announced Friday she would be leaving the project due to family conflicts. The movie is also being produced by Craig Zadan, Neil Meron, and Katie Couric. “Driving Miss Daisy” director Bruce Beresford was attached to helm the project, which is based on the Feb. 2016 Time Magazine cover story, “The Toxic Tap” by Josh Sanburn. This was a passion-based project for the singer-actress, who has been outspoken on social media about the crisis, which has been featured prominently in the news since 2014. The city switched water sources in 2014, using the Flint River as a source while a new pipeline was being constructed. The water flowing into the city is polluted and of poor quality, often streaming brown from faucets. It was eventually found that the Flint River water was 19 times more corrosive than Detroit’s water. In January of last year, Cher stepped up and donated 180,000 bottles to the city. She was set to play a resident who was affected by the disaster. “This is a tragedy of staggering proportion and shocking that it’s happening in the middle of our country,” she said. The movie is set to continue at Lifetime, although no word yet on who will star. 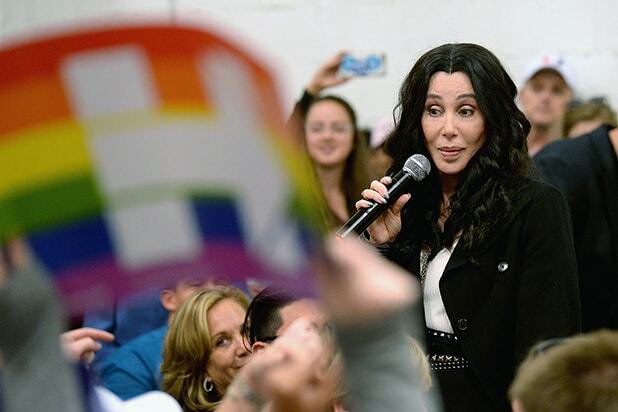 “I’m so glad that Craig and Neil (the producers) plan to move ahead and I know that this Lifetime movie will be done beautifully,” Cher continued in the statement. On Tuesday, Senate Majority Leader Mitch McConnell used a rare Senate rule to stop Sen. Elizabeth Warren from reading a letter by Coretta Scott King to oppose the nomination of Jeff Sessions to attorney general. 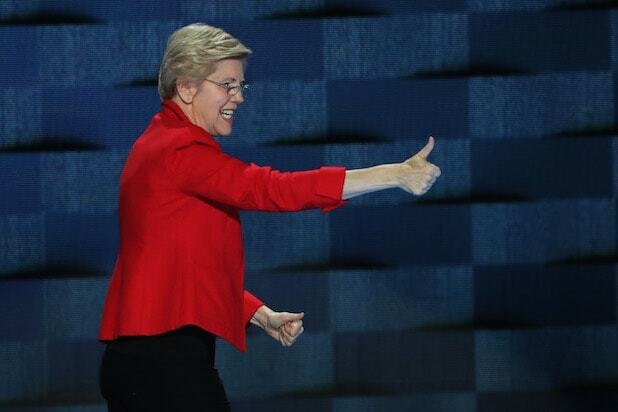 McConnell said Warren was warned, but "nevertheless, she persisted." Within hours, that phrase became a feminist rallying cry, applicable to any situation in which women have been essentially told to sit down and shut up. This image shows photos of Supreme Court Justice Ruth Bader Ginsburg and Black Panther Angela Davis. This meme shows a photograph of Rosa Parks sitting in the front of a bus. This iconic photo of a young woman standing her ground against riot police during a Black Lives Matter in Baton Rouge, La. This image is of Belva Ann Lockwood, the first woman allowed to practice before the United States Supreme Court. Here's Elizabeth Blackwell, the first woman in the U.S. to receive a medical degree. It's captioned, "They told her women couldn't be doctors. Nevertheless, she persisted." This is Gloria Richardson, the leader of the Cambridge Movement (a civil rights movement in Cambridge, Maryland). It is captioned: "Gloria Richardson in 1963, is having none of a soldier with fixed bayonet. Nevertheless, she persisted." This meme is a photo of Shirley Chisholm, the first black woman to serve in congress. This photo is from the Jan. 21 Women's March and is captioned with "Nevertheless, she persisted." Bonus: "Star Wars" fans got into the meme, too. If you went to the L.A. Women's March, you saw a lot of signs with Princess Leia. And she continues to persist.